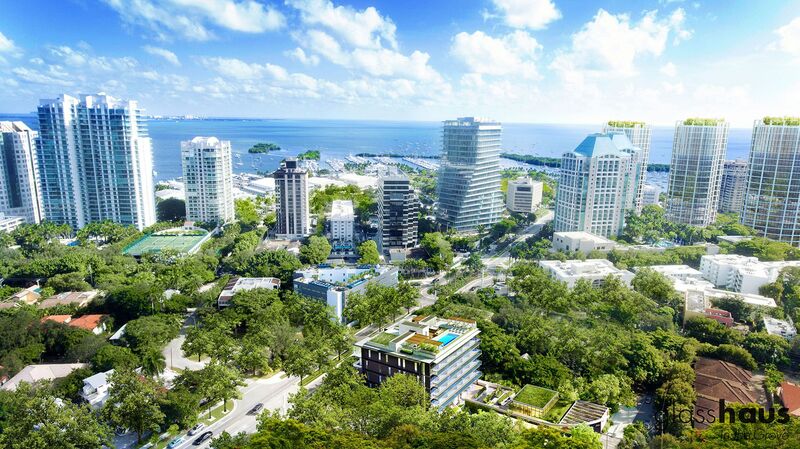 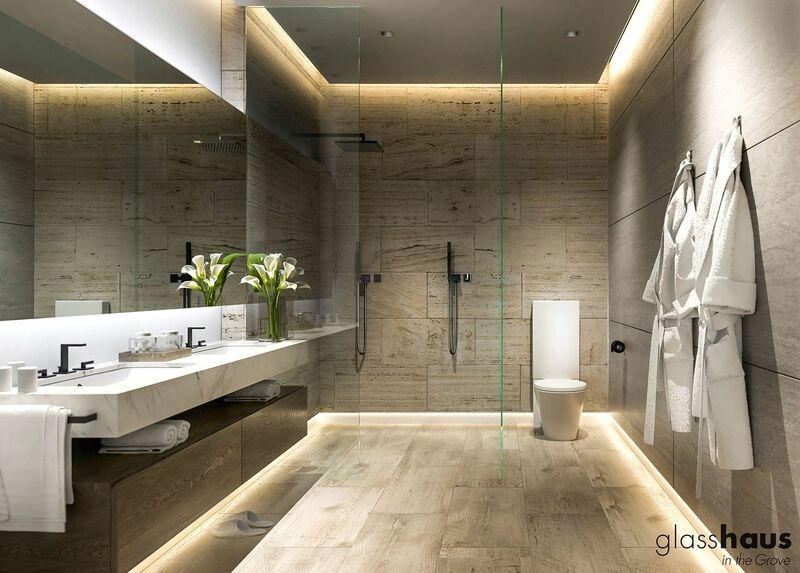 There’s no direct view of Biscayne Bay but the glassy and dazzling GlassHaus in Coconut Grove has certainly joined the conversation of Miami’s most alluring condo projects if the real thing ends up looking anything like the renderings. 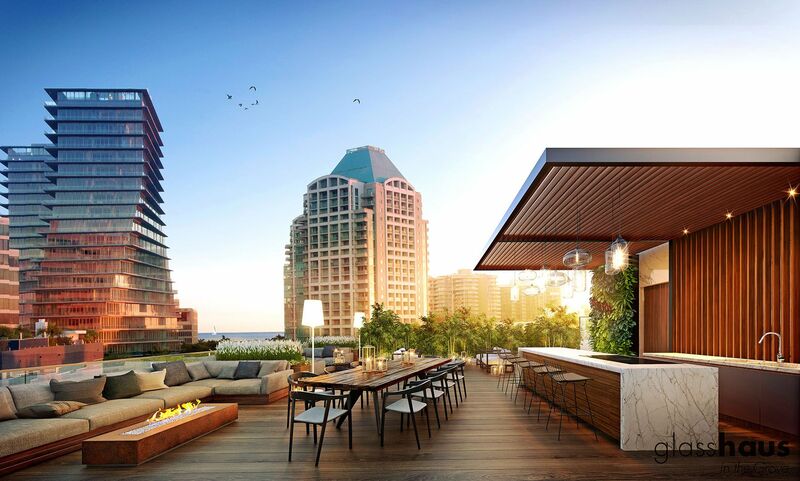 Set to open its on-site sales center to the public in early June, the five-story boutique condo will rise at3161 Center Street while offering 23 contemporary residences priced from $595,000 to $1.2 million (starting around $575 per square foot). 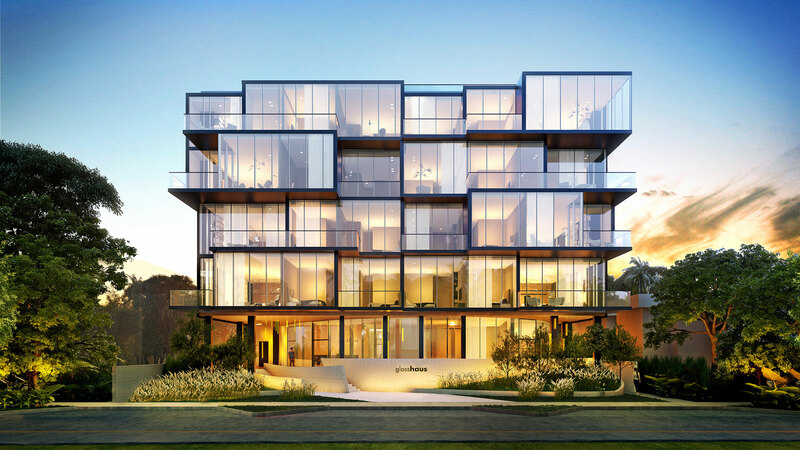 The development team is comprised of D.D8 and Element Development LLC, with the Bauhaus-inspired design spearheaded by Varabyeu Partners, an architecture and design firm with offices in Coral Gables and Minsk. 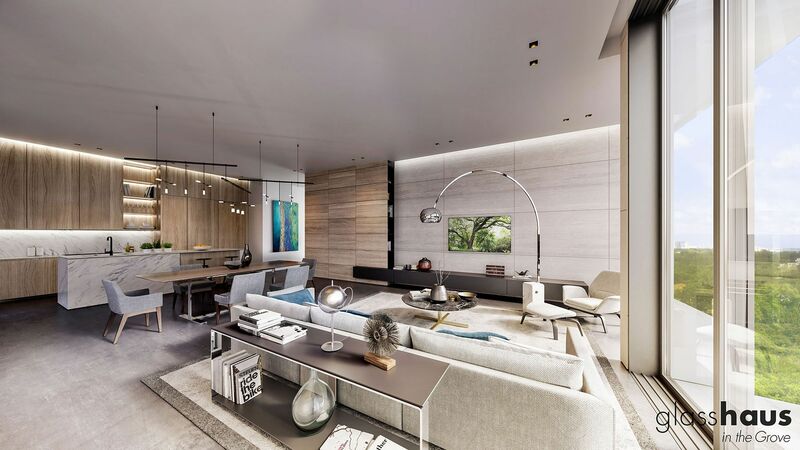 The exquisite lobby will be outfitted with textured stone, polished wood, burnished steel and panoramic glass. 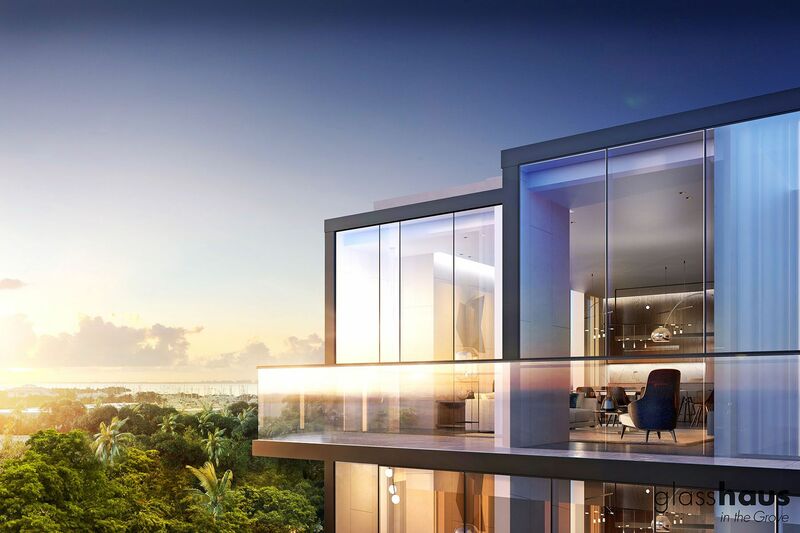 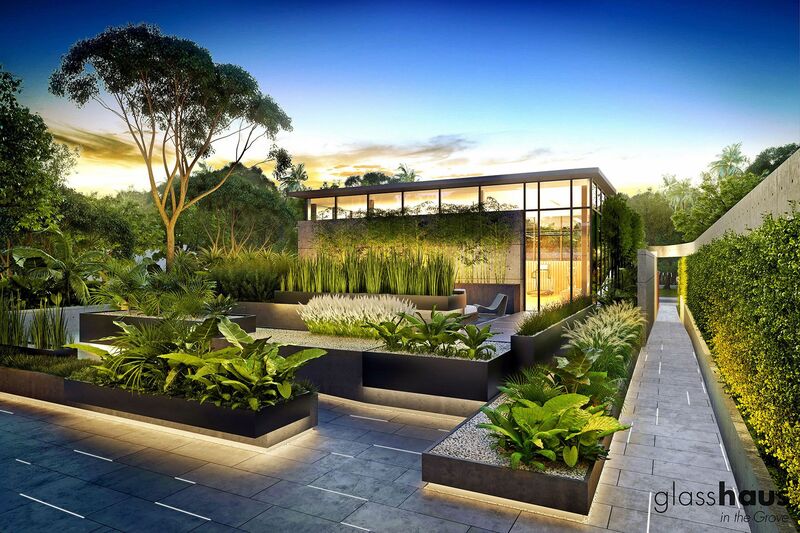 Residences will range in size from 1,080 to 2,380 square feet, offered in one, two, and three bedrooms. 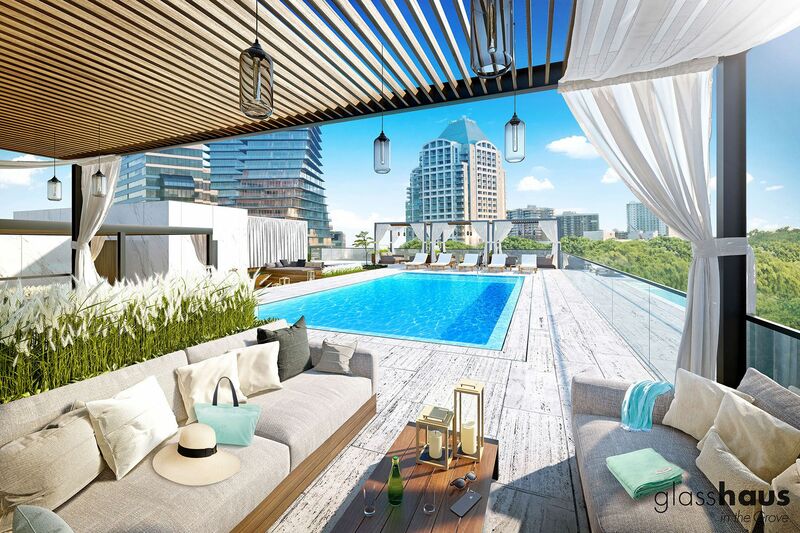 The standard units will feature 11-foot finished ceilings; floor-to-ceiling windows; kitchens equipped with Italkraft cabinetry and stone countertops; and a choice of porcelain, wood or tile flooring throughout the interior. 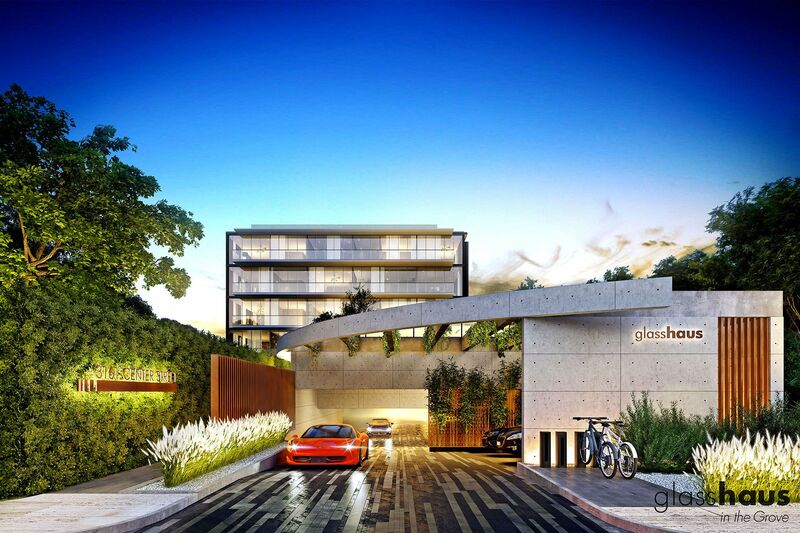 Parking will be underground with amenities including a detached fitness center; electric bicycles for owner use; Zen garden; and a resort-style rooftop deck with a pool, cabanas, summer kitchen, and lounge. 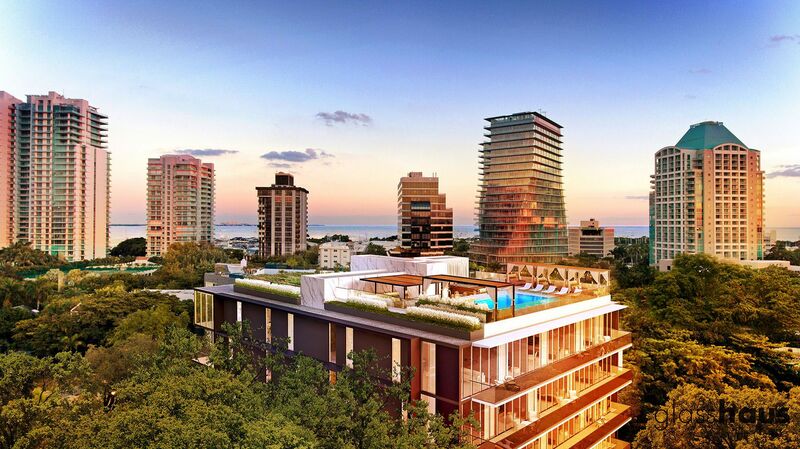 Every GlassHaus owner will also be a member of the nearby Coconut Grove Sailing Club. 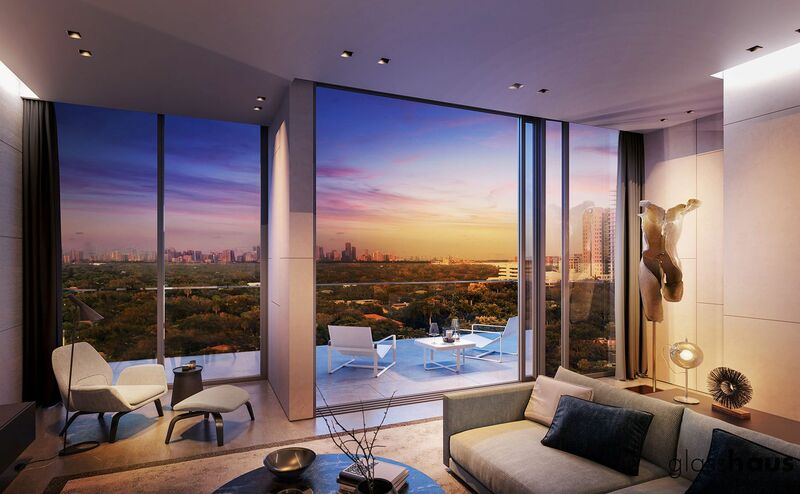 Fortune International is handling sales.